Paying Homage to the Queen! 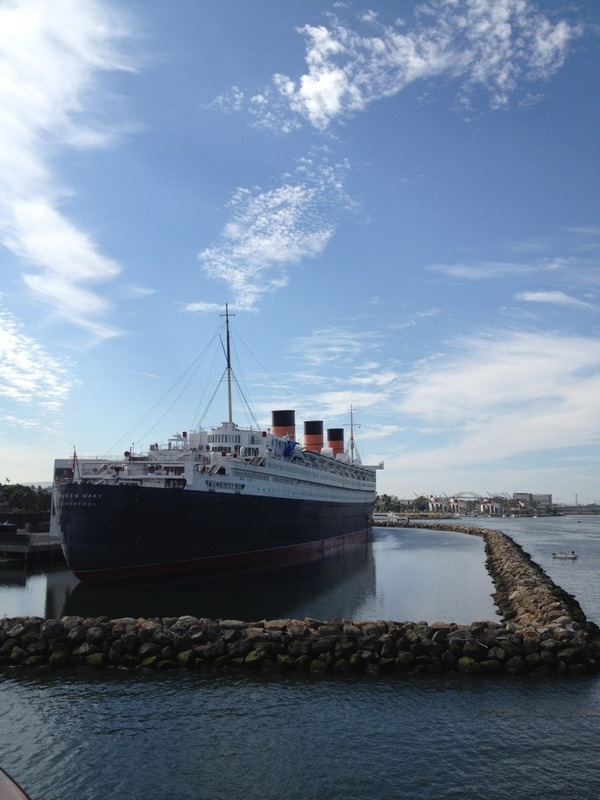 Los Angeles, California…I drove out to Long Beach today to embark my ship for my 21 day trans-pacific cruise to Australia! 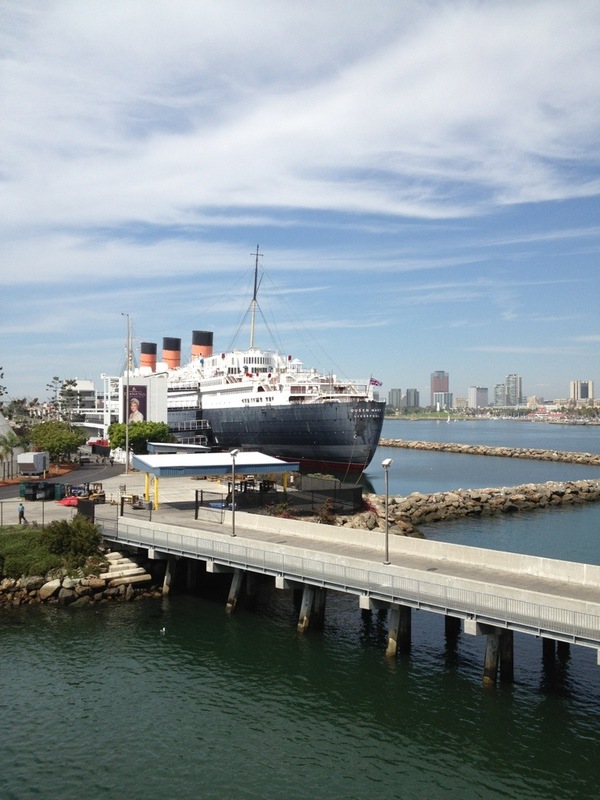 Permanently docked next to my ship is the grand Queen Mary! 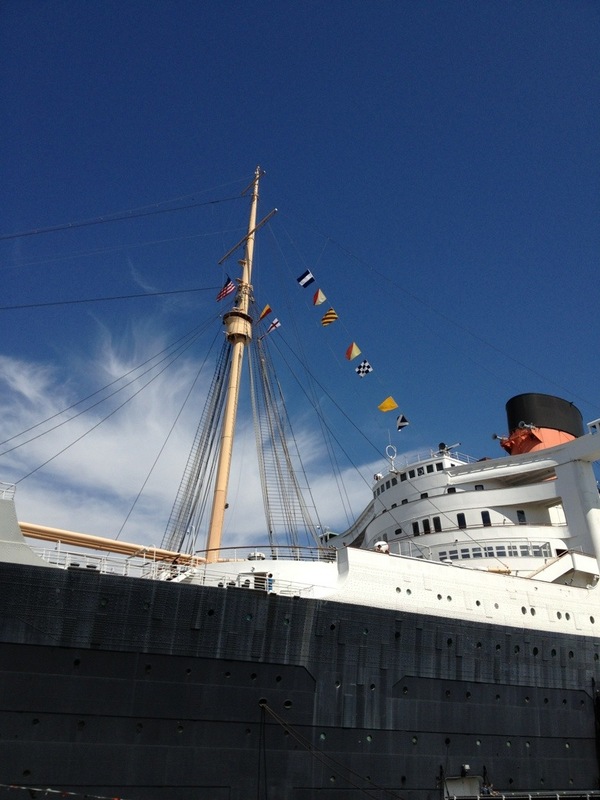 This historic seafaring vessel has become a hotel, museum, and tourist attraction. It truly is a beautiful ship that reminds me of the Titantic! Long and stately with its red funnels, this ship makes me nostalgic for the old days of cruising. 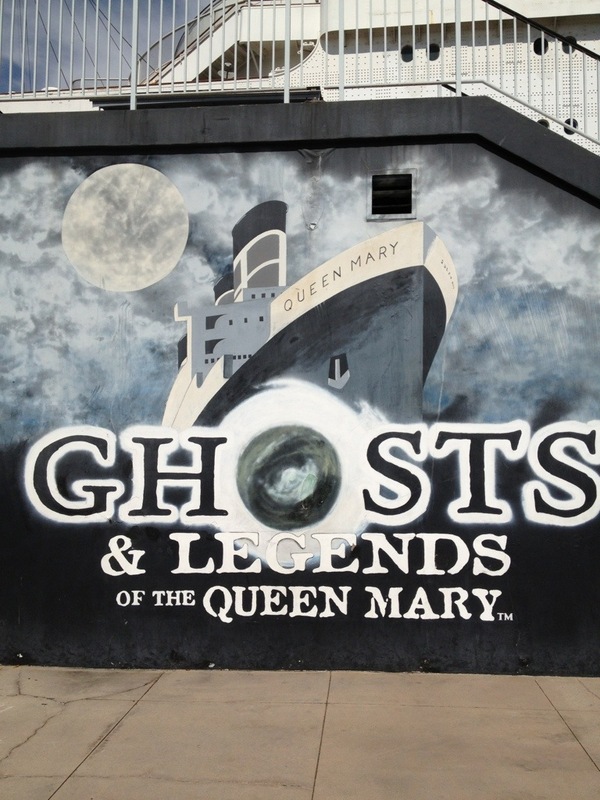 There is a Princess Diana exhibit as well as an evening tour of ghost hunting aboard. I guess there were many deaths aboard during its years of service and those souls still haunt this grande dame! I imagine steamer trunks, immaculately dressed guests, and orchestras playing all night in its heyday! What a cool piece of travel history! « Older Post Zipping thru Tinseltown! » Newer Post Here I Go!